Every summer I make a pledge to myself, to take time to relax with the family and to really enjoy myself. 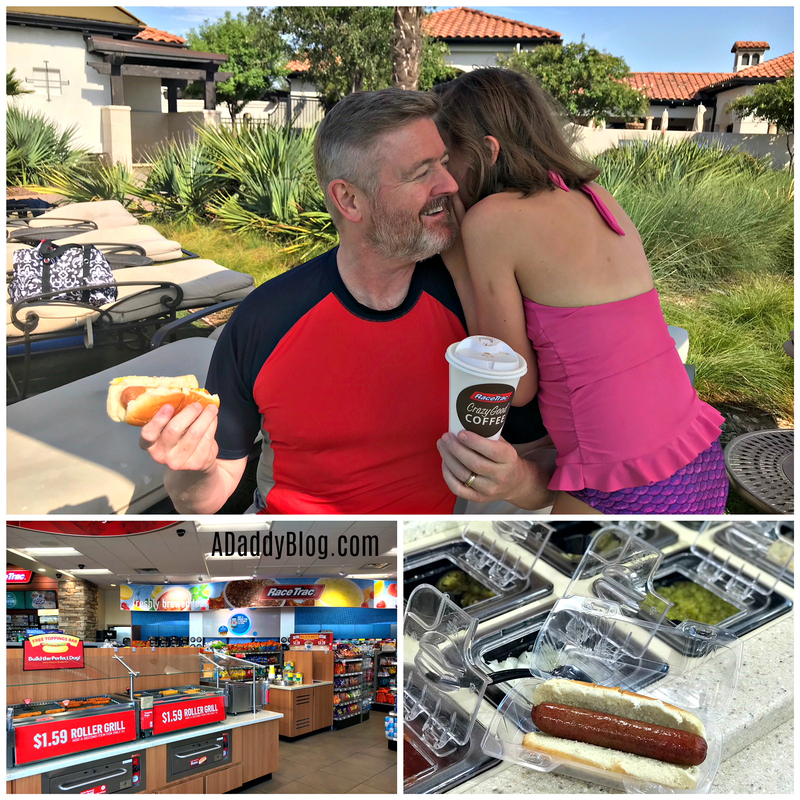 Our family loves going to the pool to have fun, and have a bite to eat as a family during the summer months. And I’ve recently found a way to make our pool trips even better. On the way to the neighborhood pool, I make a quick stop at a RaceTrac location. I grab drinks, hot dogs and maybe even some pizza for poolside noshing! And now that I am using the RaceTrac Wintastic Rewards App – I often win free snacks and treats. Making me the hero of poolside dinner! 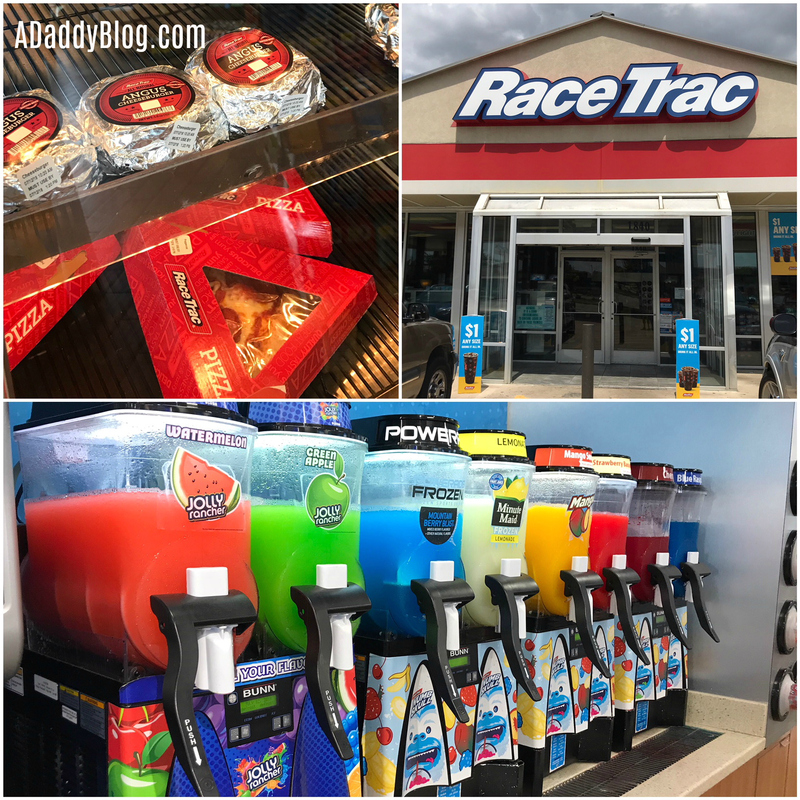 Wondering what yummy treats RaceTrac has for your next pool party? RaceTrac has fountain sodas now through Labor Day for only $1! Grab a drink for everyone at the pool and see the smiles all around! The only thing better than a pool party is a pizza party, right? Get hot pizza for the whole crew. Did you know at RaceTrac pizzas are assembled in-store using unique ingredients? They bring in pizza dough, mozzarella cheese, sauce and toppings. RaceTrac team members make pizzas in the store, using ovens that perfectly cook the dough! Next time you visit RaceTrac grab some slices right out of the hot case! Flavors include pepperoni and meat lovers! The roller grill is one of RaceTrac’s most popular offerings for a reason! Get some Nathan’s Famous 100 percent Premium All Beef Hot Dogs for dinner. You won’t even have to fire up the poolside grill! Grab some Tamales: traditional corn husk-wrapped and stuffed with seasoned pork. Get a Taquito: battered and fried tortillas filled with meats, cheeses and delicious spices. Perfect for getting your energy level back up after cannon balling into the water one too many times! 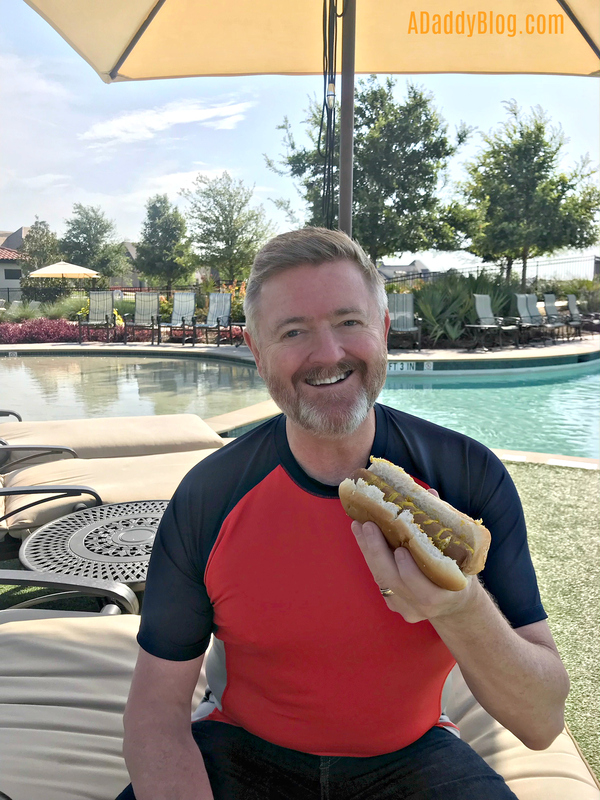 RaceTrac introduces limited time offer products on the grill on a quarterly basis to help keep the things fresh and fun, such as a Chicken and Waffle Taquito, Guinness Beer Brat, Bacon Cheddar Dog or even a Pork Egg Roll. RaceTrac has Swirl World – a variety of frozen desserts including ice creams, yogurts, sorbets and Italian Ice! Customize your frozen treat exactly how you like it – with up to 40 toppings! 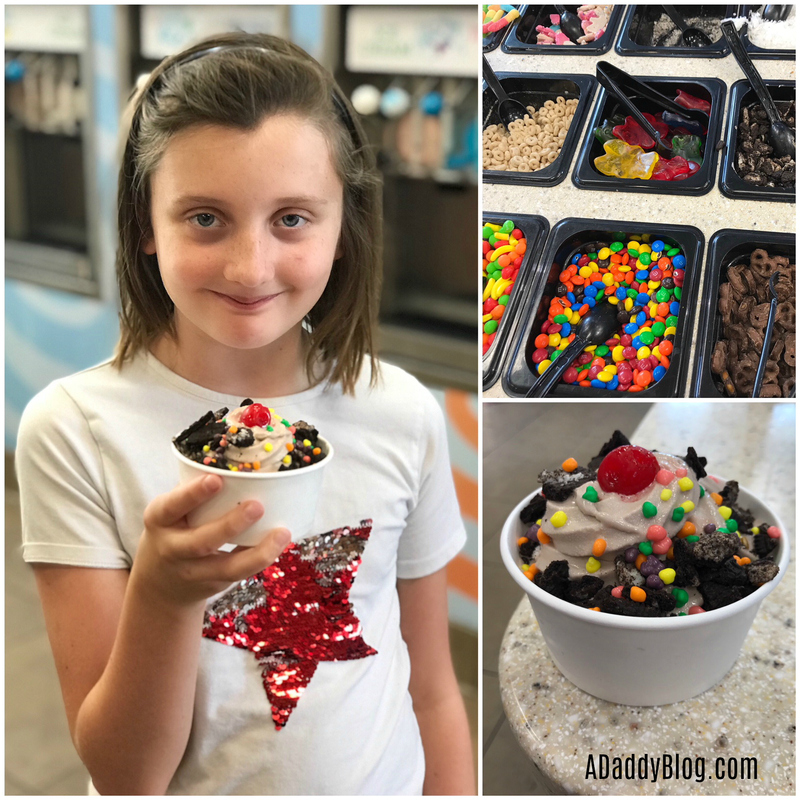 Toppings include gummies, sprinkles, oreos, chocolate covered marshmallows, salted caramel chips, hot fudge, and fresh berries, just to name a few! toppings! Not to mention, kids ages 12 and under can get their Swirl World cups for free! 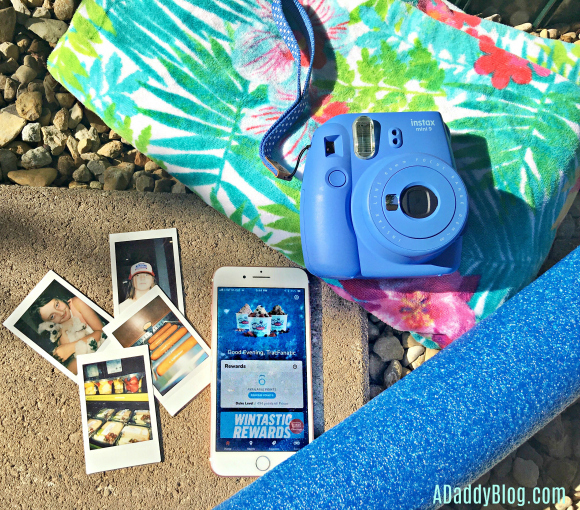 There is no reason not to play RaceTrac Wintastic Rewards this summer! And hey – you might win on your way to the pool too! Free treats are sure to make a splash, and make your summer a little but yummier!